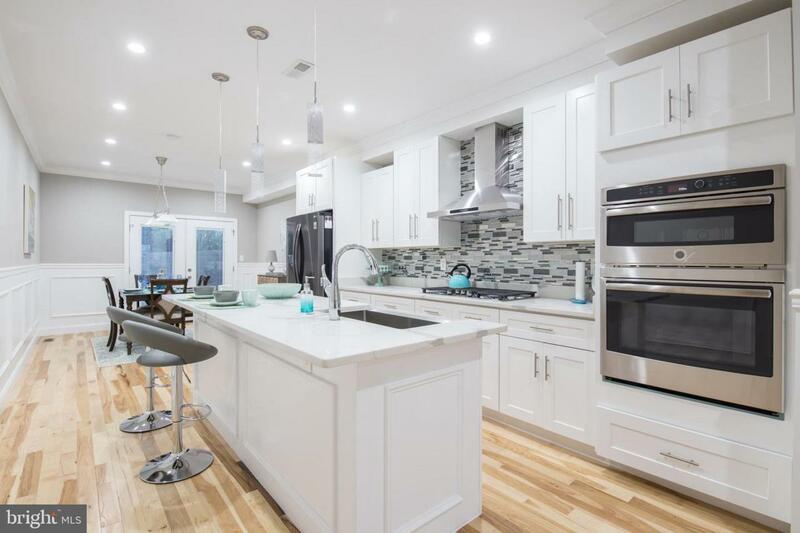 Must see 3-4 bedroom, 3.5 bath Pennsport home, completely renovated from top to bottom and complete with a finished basement, 62' landscaped yard, hardwood flooring and high quality details, light and space! It all begins with a wide open living room with tall ceilings, crownmoldings and wainscoting, a front window, coat closet, wood flooring and convenient half bath.The beautiful kitchen is dressed in white cabinetry, granite countertops, tile backsplash, stainlesssteel appliances and offers a farmhouse sink, island bar with pendant lighting and a rear diningarea. A door leads out onto the very unique, approx 62' landscaped rear yard and complete withplanters, stone, grass, river rock, granite, wood, slate, a cabana? a true urban oasis! 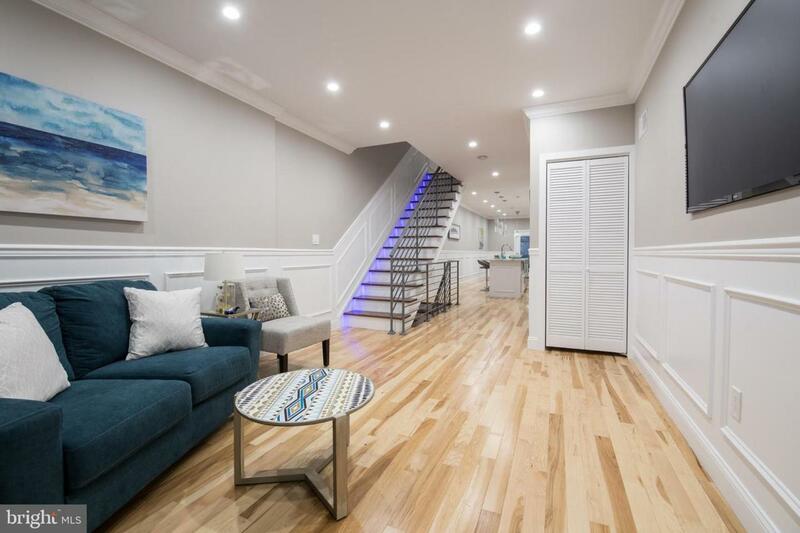 On thesecond floor you'll find a small den/office or large walk-in closet, a linen closet, full hallwaybathroom and a rear bedroom with ample closet space and double window. 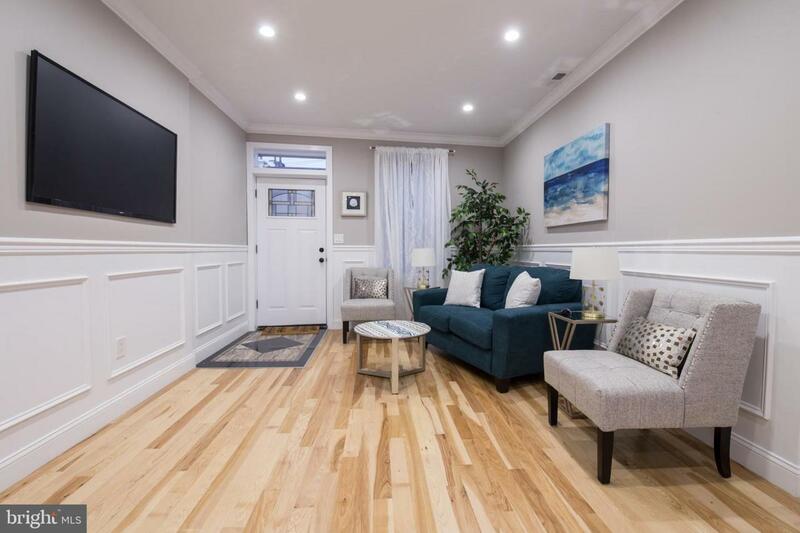 There is also a frontbedroom suite that offers two windows and a walk-thru closet into a full bath with shower, tileflooring and walls and a contemporary vanity. The master bedroom suite occupies the entire thirdfloor and offers two windows, wood flooring, a walk-in closet and an all-tile 4 piece bath withwhirlpool tub, glass enclosed stall shower, nice vanity and bluetooth wifi. A door off the hall leadsout onto an incredible rooftop terrace complete with lighting and electric and spiral steps up to therooftop deck (approx 25'x13') -- enjoy big sky views from sunrise to sunset! 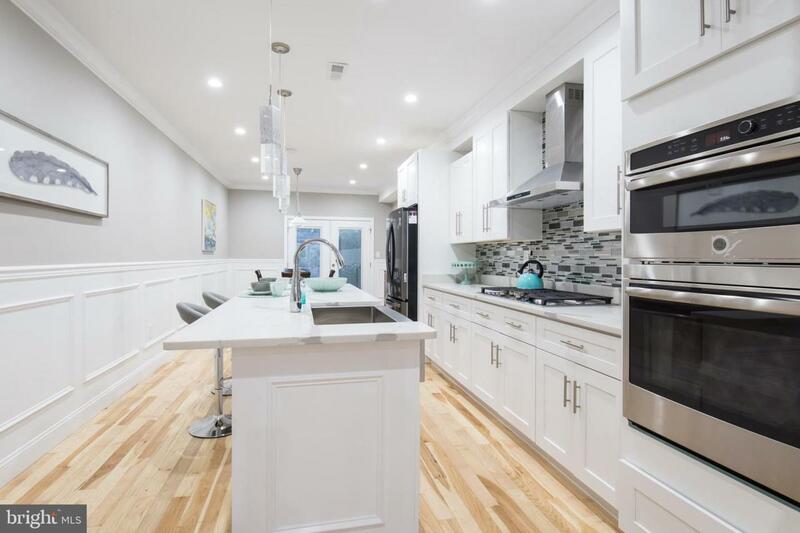 The finishedbasement makes a quaint den, office or family room and hosts laundry, mechanicals and storage.This handsome home is located in a prime Pennsport location close to EZ parking, MoyamensingAve, Dickinson Square park, restaurants, the waterfront, great transportation and more. 10 yeartax abatement approved! C heck OPA for 2019 taxes due to possible citywide reassessment.